Another preview of my new design, this time showing all the little friends. 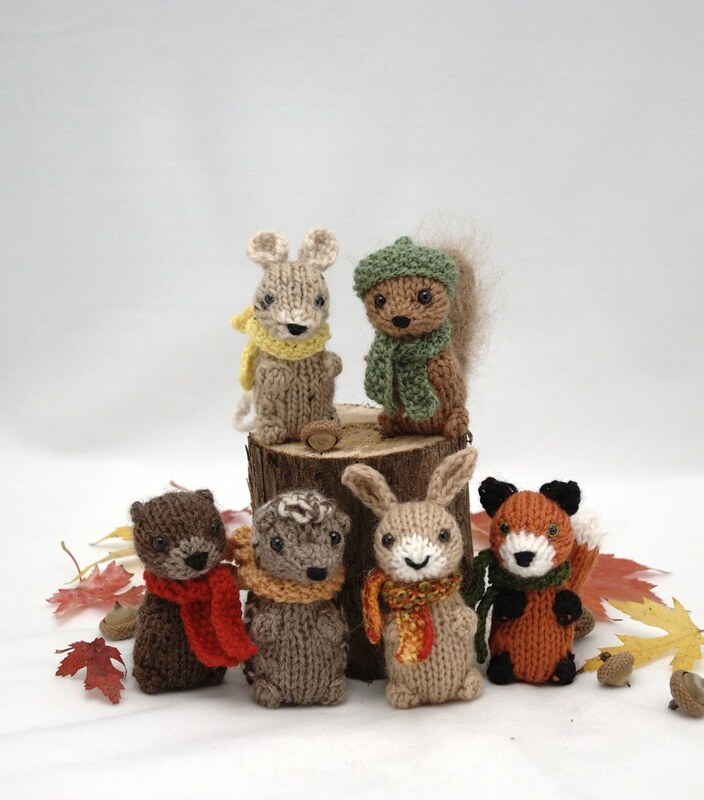 The pattern includes instructions for 6 animals: mouse, squirrel, fox, hare, hedgehog, and otter. They all have the same body, but different heads/ears/tails to make each animal. 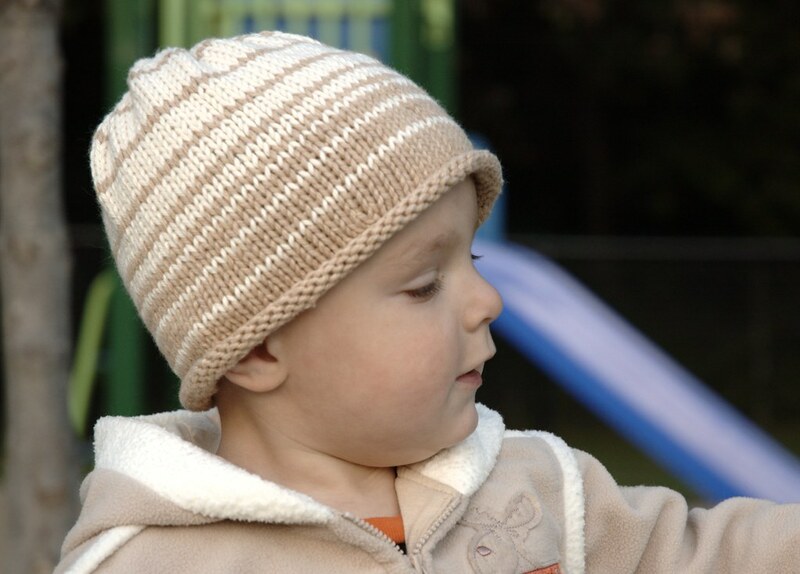 The pattern also includes instructions for the hat and scarf. I'm hoping we can get it ready by the end of the week, so you haven't long to wait! For photos of each animal, you can check my Flickr page. Here is a new free pattern for you! 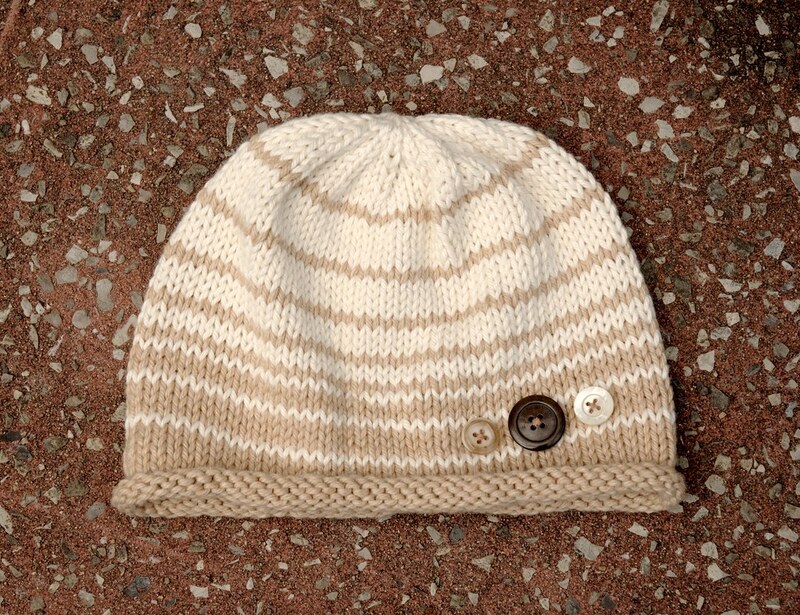 A simple hat for the Autumn, which you can knit up in a day, or a couple of evenings. I made this to fit Lev, who is almost 2, but because of the shape it should fit ages 1-3 (more or less, depending on the child's head circumference). I knit Lev's from Knitpick's Simply Cotton worsted, in Marshmallow and Ginger. This hat used exactly 50 g* or about 80 yards. Whichever yarn you use, you will want at least 100 yards total. Please let me know in the comments if you want any more details. *The hat uses slightly less than 25 g of A, and slightly more than 25 g of B. To fit head 17-19” in circumference. CO 72 sts with A, distributing sts evenly depending on needles you are using. Row 1-6: work in st st.
Change to 5 mm needles. Finish hat in B. Work in st st until hat measures 6 1/2” from CO edge. Row 2: K 1 row. Row 4: K 1 row. Row 6: K 1 row. Row 8: K 1 row. Cut yarn, thread end through sts, and pull tight to gather. You may want to run the yarn end through these sts a second time to make it more secure. Weave in yarn ends. Embellish with buttons, pom-pom, or tassel if you like. This modification of Citron was finished a few weeks ago, but I haven't found time to block it yet. Once I find something to actually wear it with, perhaps I'll finally do that step and get some better photos. 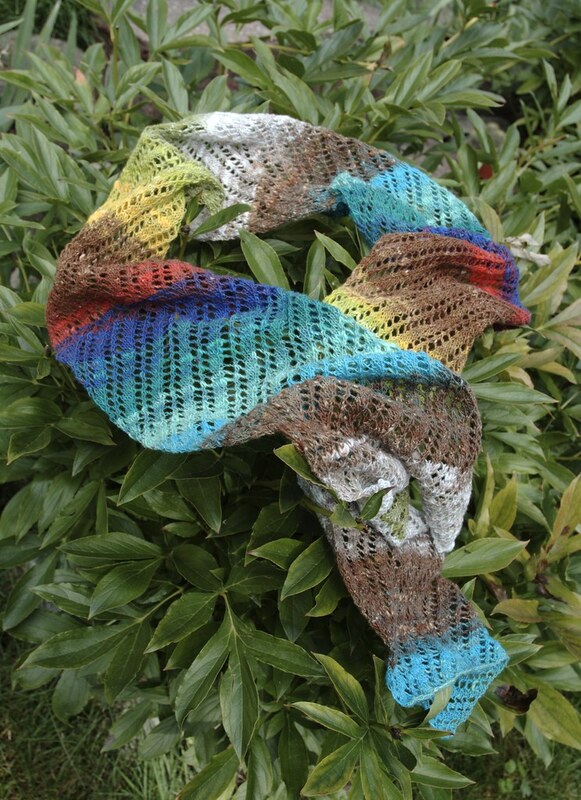 This lacy scarf is knit from some Noro Sekku yarn I picked up on an impulse during my vacation to BC. I love the summery colours of it. I'm glad it's cooling off here so I can wear this now. 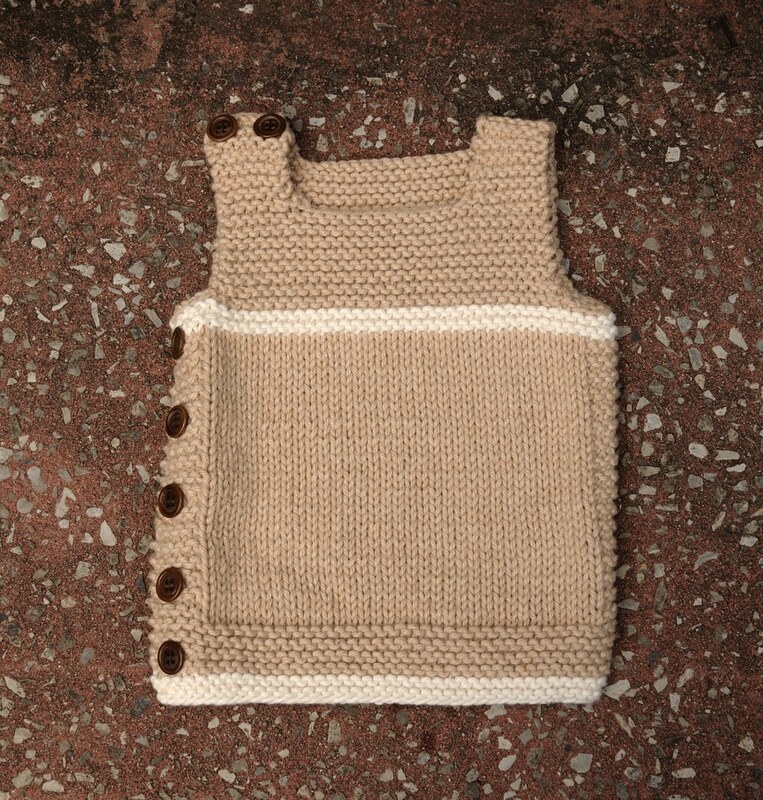 This little vest I knit for my newest nephew. It's in Knitpicks Simply Cotton Worsted, and I had no trouble getting gauge with this yarn. It's my second time knitting this pattern, and I really like it. 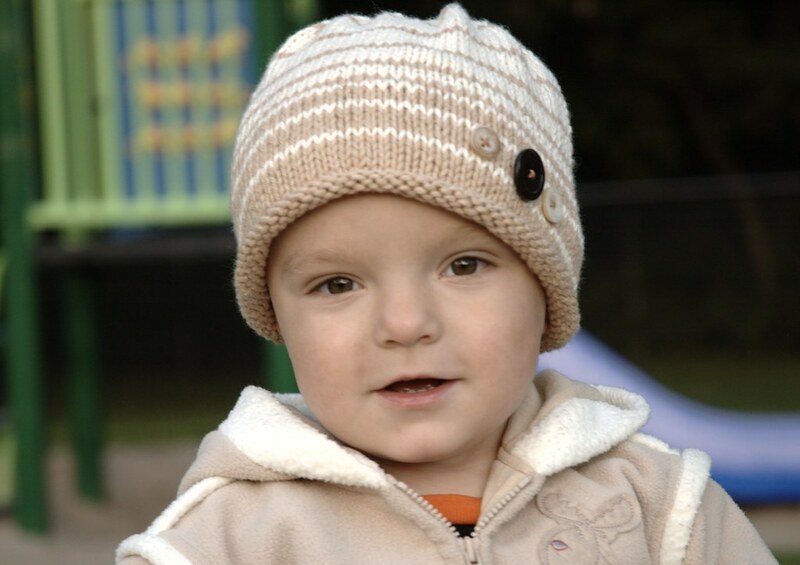 If you follow me on Facebook, this is the hat I was talking about knitting for Lev. I have the instructions finished, but I need help getting photos of it on him for the published pattern. The longest he's left it on his head is about 10 seconds. And finally, here is a little preview of the new pattern I'm releasing soon! Hello to all my dedicated readers out there. I'm so sorry for the long absence. I've been under the weather for a while (why do so many people get sick at the end of summer?) and it hasn't been helped by a heat wave in Montreal this week. Let's all hope that both will pass very soon! I have got a bit of knitting done, which might lead to a fun new pattern for Autumn. I'm hoping to get it ready just when knitters (in the Northern Hemisphere, anyway) are starting to think about getting out the wool, and making a start on holiday gifts. No more hints for now, though, as it still needs some work before I can show it to you. 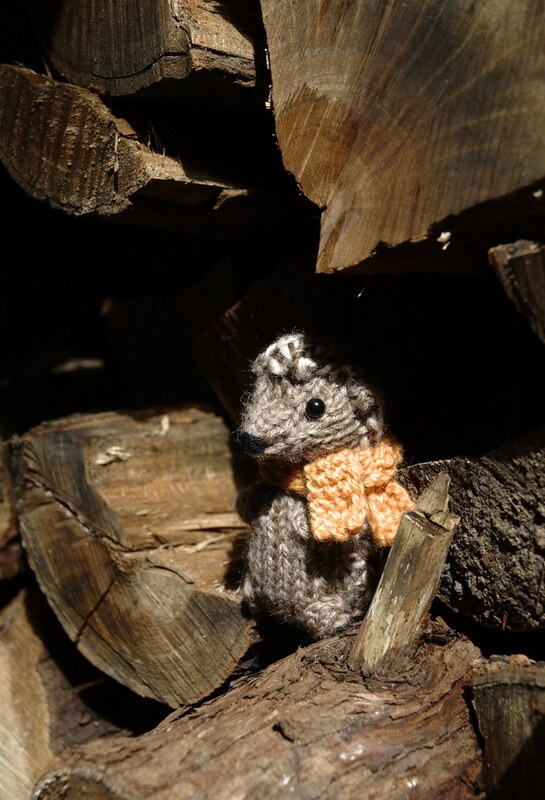 I've also been thinking of another Knit-along on Ravlery, with some sort of Autumn or Halloween theme. The summer KAL was fun, but most people were too busy to participate. Maybe cooler weather and a more specific goal will help? There have been a couple of other exciting developments, which I've been itching to share. Let's all hope I can do that soon! To end on a cute note, here's some evidence that our little Baby Mitten is not a baby any more! He's grown and changed a lot over the summer - we really need to get more videos of him! 20100821: Big Boy Bed from Konstantin Ryabitsev on Vimeo.